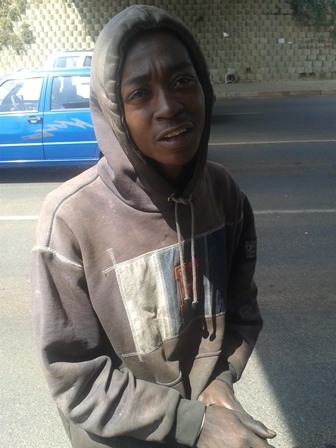 Moses Mackenzie (23) has been homeless for four years but instead of seekingÂ dubious meansÂ to make ends meet, he has found an honest and creative way to make money. The teeming traffic and busyness of Empire Road is what Moses refers to as his office. 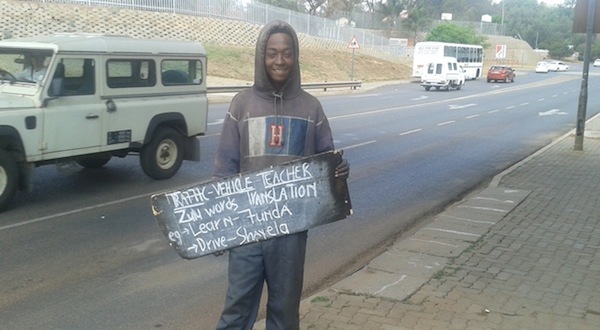 Every day, he stands at the intersection and teaches motorists common Zulu phrases in exchange for small change. â€œI sell Zulu words at the intersection,â€™ Moses tells me as we find a quiet place to chat. â€œThis is just my way of feeding myself, my sister. I would rather do this than steal or harm other people,â€ said Moses. He did not think people would be as receptive as they have been to his traffic light teachings. Moses says that this is not the life he envisioned for himself, but circumstances led him to being homeless. â€œAfter my mother passed away, my uncle and I started fighting a lot. I could not stay at home anymore,â€ he says. He dreams of becoming a sound engineer. His love for music and reading keeps him going on the streets.